Nothing brings the family together like the aroma of sweet rolls baking. 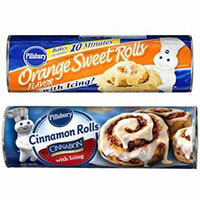 Pillsbury refrigerated sweet rolls bake up in minutes. A touch of icing finishes this sweet breakfast treat.